of quality cases and smartphone accessories. Discount applies to select accessories while supplies last. Valid through Thursday, Feb 14, 2019. Our glass screen protectors offer a great final layer of protection against scratches and smears and can also help reduce your chances of glass breakage. Nothing can make your phone invincible but one of these great screen protectors combined with a protective case is your best bet to keep your phone or tablet off of our repair workstations. 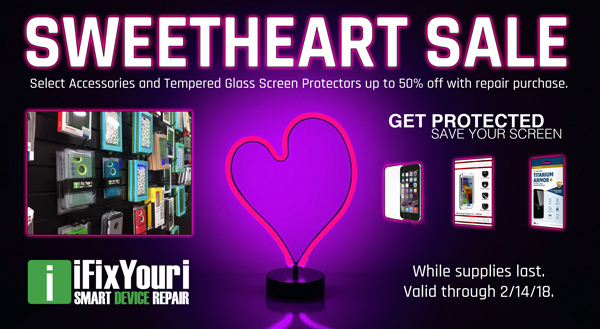 NOTE: To get the discount prices listed below, a repair must be purchased. Our best protection! 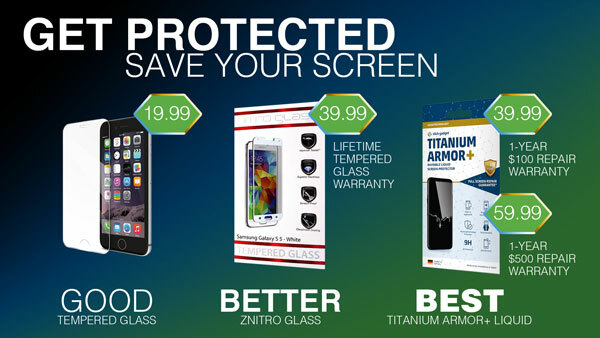 Cover your device with a 1-year repair warranty. Requires warranty registration via app download. For more details, come to see us! We’d be more than happy to describe the differences between these protection options. Copyright © 2018 iFixYouri Corp, All rights reserved. Copyright 2015 iFixYouri All rights reserved.